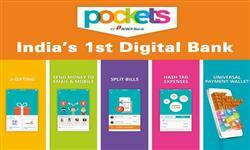 Pockets app is visa-powered e-wallet of Icici bank which can be used by any bank users. 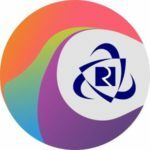 Just you need to make account on it by your mobile number and you are ready to use app wallet on any online website , stores or pay by their physical visa card which you”ll get free of cost delivery at your home. This Physical visa card is linked with your wallet , You need to add money in your wallet to use this card by any bank net-banking/credit/debit cards. They also offered free Rs. 25 on loading Rs. 100 on their wallet. If you are going to make new account then You must check this below sign up offers to get Free benefits. Here we sharing All Pockets app Offer which”ll give You benefits when you create new account or use existing one. Pocket app wallet also offers mvisa , Earlier we shared Lots of Mvisa offers Such as idea Mvisa offer , tata sky mvisa offer. If still you are not a user of pockets app then Create new one by below steps to enjoy below offers. Firstly you need to make new account by below steps then Follow below steps. Order Food of Swiggy through Pockets App and get flat Rs.15 Cashback, No any Promo code Required. Valid only on in-app Transaction not on swiggy. On Every POS Terminals Transactions using Pockets Physical Card , You will get 10% Cashback upto Rs 100 on Rs 50. Cashback will be Credited within 30 Days. When You will add Rs. 100 first time then You”ll get extra 25% up to Rs. 25 in your wallet How to get this offer ? Check this add money offers. Get Rs. 25 cashback on Rs. 100 Mobile recharge. How to get this offer ? You will have to look Updated recharges Promo codes from our previous posts. 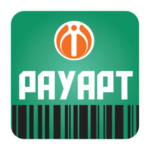 Get 5% Cashback on Paying utility bill payment from this. Check more about this offer. You can avail Free 50% Cashback up to Rs. 100 on Rs. 100 First merchant payment using Upi. 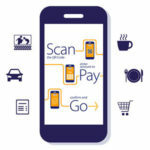 Just You have to pay via pockets app or Imobile. Offer valid only for this Listed Merchants. You have to make Rs. 0+ transaction. Hurry up ! Because it will be Valid for First 20k Customers at Pockets app & 40k at imobile. Enjoy this Offer by Using Super fast Upi transfer. Make Rs. 100 Or more First Transaction & get Free Rs. 100 Amazon Gift Voucher within 60 days. Not Valid on transfer & Load Transactions. First 50 Customers Every Day Will get this benefit Till 2/7/17. Just Select Upi at paytm Payment Page. You will get Push Notification, Click to Approve. Valid on First Upi Transaction only. If you are User of Dish tv Then You must Grab this Offer Because This time You can Can Save up to Rs. 100 also No Minimum Recharge Amount Needed so you can also Redeem in Small Recharge. Simply do a Recharge or add Paytm Cash using Upi. Your cashback will be credited within 45 days in Your wallet. Offer applicable on First Upi Transaction only. Working once per user till 30/6/17. Send above sms , You will Receive Download Link, Install it & Make new account. Done ! You will get Free voucher within 14 days. Hurry up ! Offer valid for First 10000 Customers. Voucher will be valid on Mcdonald’s stores in West and South regions of India. First of all , request Your physical card for free from above steps then Add money by Grab Below offer to get extra money. Now Pay petrol Bill via Physical visa card and get 10% Cashback up to Rs. 100 on Rs. 300 Bill. You can avail this offer once till 31/3/17. Purchase on their Partners site and get 10% Cashback up to Rs. 200 on Rs. 500+ Cart on this above listed sites & Apps. Just you have to Pay via Pockets wallet Card number to avail this offer or Follow below steps to get this offer. First of all, Make Your cart Rs. 500+ on this shopping sites. Now in the payment option select Credit card & enter Your pockets wallet card details. Enter Your pin and complete your transaction. Within 7 Days your cashback is credited in Your pockets app wallet. Offer is valid till 28th Jan 2017. Pay via Touch and pay option to get 20% Cashback on this Cities (Delhi, Kolkata, bangalore, Mumbai) Hpcl Petrol Pumps. Offer is valid For Visa card Holders. Offer is valid till 14th Mar 2017, You can avail maximum Cashback Rs. 100 Per transaction. Till 2nd Feb 2017 they are running a Offer where Users who make 3 or More Rs. 100+ transactions they will win Free Zebronics Bluetooth headphones. Daily 10 Users will be selected. Offer valid only on shopping online, at stores, Bill Pay, Mobile and DTH recharge transactions. Not applicable on Load Money and Send Money transactions. Click on Sign Up and enter all the details. Done ! You”ll get app dashboard now you can use Amazing Free features like Mvisa , recharge offers , sign up offers of pockets.